Get Aviron Rowers at Great Prices. Contact us Today! 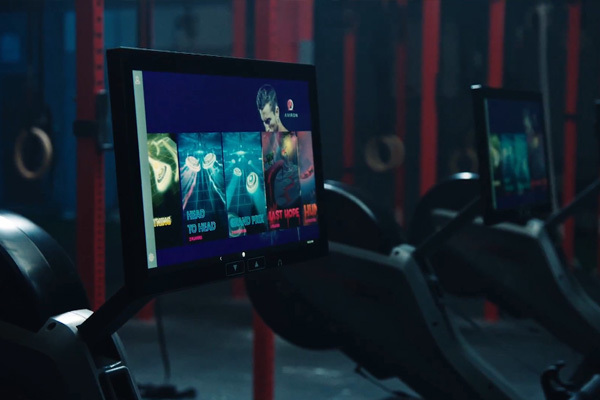 The Aviron rowing machine uses interactive software and games to allow users to compete individually, in local groups, with players from around the world, or against advanced artificial intelligence that’s designed to push your limits. 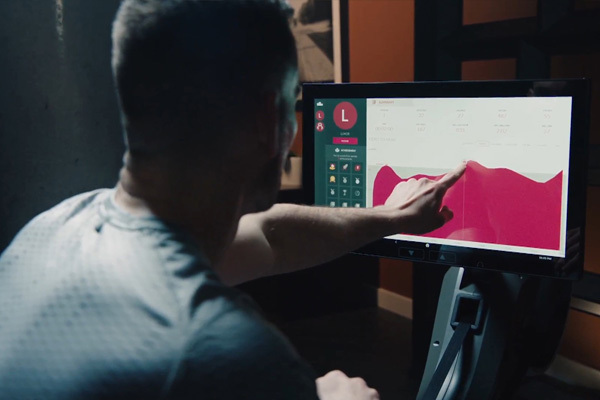 Aviron keeps track of your success and complete history of workouts, that allows you to share on the network and social media. Advanced structural design makes it lightweight yet strong. Rowers are put through over 1 million testing cycles at peak force to ensure maximum durability and reliability. 21.5" HD Touchscreen provides fully immersive, high definition, interactive experience. Two speakers provide immersive sound effects. Innovative Dual Resistance System provides the best of air to mimic water, and magnetic provides exceptionally strong and smooth torque that can be adjusted on the fly. Easy resistance adjustment on touchscreen of rower buttons to help you increase output, close the gap or extend your lead. User friendly design includes Video tutorials, simple touchscreen interface, quick rematch. 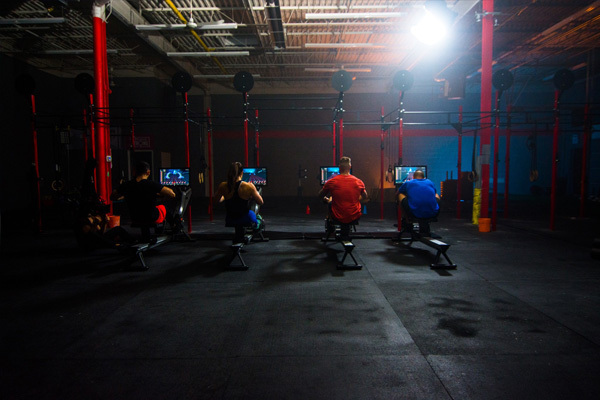 Metrics include leaderboards, challenges, workout history, social media posting. Rower features: Poly-V belt, smooth anodized aluminum rail, transport wheels, ergonomic seat, adjustable foot pad, low frame height, sweat proof touchscreen. 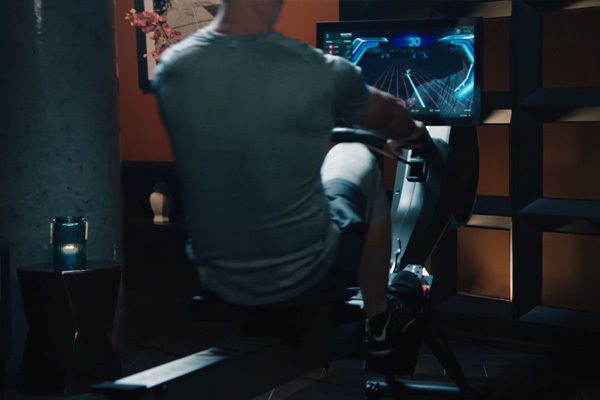 Aviron rowing machines are equipped with vibrant HD touchscreens enabled with an innovative resistance system, performance metric sensors, and connected to Aviron's network to easily allow you to participate in challenges with others around the world. 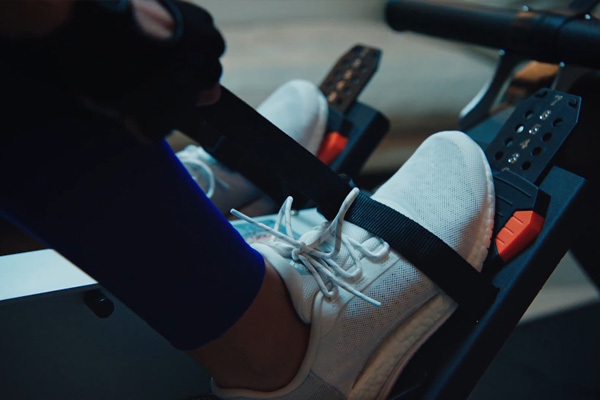 The gradual resistance delivered by the air system mimics the feeling of rowing through water. Games & Challenges: "Lightning Lap" (1 player); "Head-to-Head" (2 players); "Warm-Up" (1 player); "Grand Prix" (2-10 players); "The Hunted" (2-5 players); "Zombie Apocalypse" (2-10 players); "Last Hope" (2 players). Contact us today for more information and latest Aviron prices.